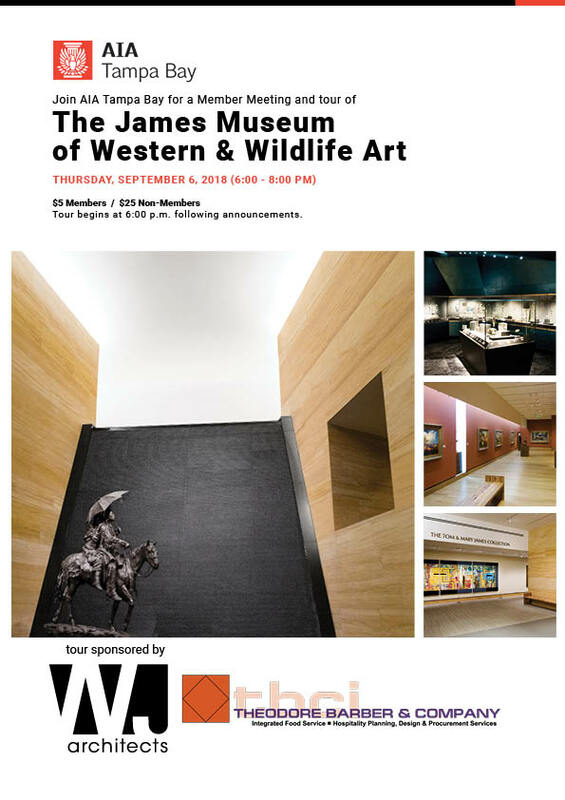 Join AIA Tampa Bay for a Member Meeting and tour of the James Museum of Western & Wildlife Art brought to you by WJ Architects, Harvard Jolly, and Yann Weymouth. (1 HSW LU). Tour begins at 6:00 p.m. following announcements. Sponsored by WJ Architects and Theodore Barber & Company.